For other uses, see Silesia (disambiguation). "Schlesien" redirects here. For other uses, see Schlesien (disambiguation). Not to be confused with Cilicia. Silesia (/sɪˈliːʒə, -ʃə, saɪ-/; Polish: Śląsk [ɕlɔ̃sk]; Czech: Slezsko; German: Schlesien (help·info) [ˈʃleːzi̯ən]; Silesian German: Schläsing; Silesian: Ślůnsk [ɕlonsk]; Lower Sorbian: Šlazyńska; Upper Sorbian: Šleska; Latin: Silesia) is a historical region of Central Europe located mostly in Poland, with small parts in the Czech Republic and Germany. Its area is about 40,000 km2 (15,444 sq mi), and its population about 8,000,000. Silesia is located along the Oder River. It consists of Lower Silesia and Upper Silesia. Basemap shows modern national borders. The region is rich in mineral and natural resources, and includes several important industrial areas. Silesia's largest city and historical capital is Wrocław. The biggest metropolitan area is the Upper Silesian metropolitan area, the centre of which is Katowice. Parts of the Czech city of Ostrava fall within the borders of Silesia. Silesia's borders and national affiliation have changed over time, both when it was a hereditary possession of noble houses and after the rise of modern nation-states. The first known states to hold power there were probably those of Greater Moravia at the end of the 9th century and Bohemia early in the 10th century. In the 10th century, Silesia was incorporated into the early Polish state, and after its division in the 12th century became a Piast duchy. In the 14th century, it became a constituent part of the Bohemian Crown Lands under the Holy Roman Empire, which passed to the Austrian Habsburg Monarchy in 1526. Most of Silesia was conquered by Prussia in 1742 and transferred from Austria to Prussia in the Treaty of Berlin. Later, Silesia became, as a province of Prussia, a part of the German Empire and the subsequent Weimar Republic. The varied history with changing aristocratic possessions resulted in an abundance of castles in Silesia, especially in the Jelenia Góra valley. After World War I, the easternmost part of this region, i.e. an eastern strip of Upper Silesia, was awarded to Poland by the Entente Powers after insurrections by Poles and the Upper Silesian plebiscite. The remaining former Austrian parts of Silesia were partitioned to Czechoslovakia, forming part of Czechoslovakia's German-settled Sudetenland region, and are today part of the Czech Republic. In 1945, after World War II, the bulk of Silesia was transferred, on demands of the Polish delegation, to Polish jurisdiction by the Potsdam Agreement of the victorious Allied Powers and became part of Poland. The small Lusatian strip west of the Oder–Neisse line, which had belonged to Silesia since 1815, remained in Germany. The largest town and cultural centre of this region is Görlitz. Most inhabitants of Silesia today speak the national languages of their respective countries, while before the population shifts after 1945, the majority of Silesia's population spoke German. The population of Upper Silesia is native (with some immigrants from Poland who came in the 19th to 20th centuries), while Lower Silesia was settled by a German-speaking population before 1945. An ongoing debate exists whether Silesian speech should be considered a dialect of Polish or a separate language. Also, a Lower Silesian German dialect is used, although today it is almost extinct. It is used by expellees who relocated to the remaining parts of Germany, as well as by Germans who stayed in their Lower Silesian home. The names of Silesia in the different languages most likely share their etymology—Latin and English: Silesia; Polish: Śląsk; Old Polish: Ślążsk[o]; Silesian: Ślůnsk; German: Schlesien; Silesian German: Schläsing; Czech: Slezsko; Slovak: Sliezsko; Kashubian: Sląsk; Upper Sorbian: Šleska; Lower Sorbian: Šlazyńska. The names all relate to the name of a river (now Ślęza) and mountain (Mount Ślęża) in mid-southern Silesia. The mountain served as a cultic place. Ślęża is listed as one of the numerous Pre-Indo-European topographic names in the region (see old European hydronymy). According to some Polish Slavists, the name Ślęża [ˈɕlɛ̃ʐa] or Ślęż [ˈɕlɛ̃ʐ] is directly related to the Old Slavic words ślęg [ˈɕlɛ̃ɡ] or śląg [ˈɕlɔ̃ɡ], which means dampness, moisture, or humidity. They disagree with the hypothesis of an origin for the name Śląsk [ˈɕlɔ̃sk] from the name of the Silings tribe, an etymology preferred by some German authors. In the fourth century BC, Celts entered Silesia, settling around Mount Ślęża near modern Wrocław, Oława, and Strzelin. Germanic Lugii tribes were first recorded within Silesia in the 1st century. Slavic peoples arrived in the region around the 7th century, and by the early ninth century, their settlements had stabilized. Local Slavs started to erect boundary structures like the Silesian Przesieka and the Silesia Walls. The eastern border of Silesian settlement was situated to the west of the Bytom, and east from Racibórz and Cieszyn. East of this line dwelt a closely related Slav tribe, the Vistulans. Their northern border was in the valley of the Barycz River, north of which lived the Polans. The first known states in Silesia were Greater Moravia and Bohemia. In the 10th century, the Polish ruler Mieszko I of the Piast dynasty incorporated Silesia into the Polish state. During the Fragmentation of Poland, Silesia and the rest of the country were divided among many independent duchies ruled by various Silesian dukes. During this time, German cultural and ethnic influence increased as a result of immigration from German-speaking parts of the Holy Roman Empire. In 1178, parts of the Duchy of Kraków around Bytom, Oświęcim, Chrzanów, and Siewierz were transferred to the Silesian Piasts, although their population was primarily Vistulan and not of Silesian descent. Between 1289 and 1292, Bohemian king Wenceslaus II became suzerain of some of the Upper Silesian duchies. Polish kings had not renounced their hereditary rights to Silesia until 1335. 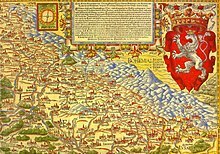 The province became part of the Bohemian Crown under the Holy Roman Empire, and passed with that crown to the Habsburg Monarchy of Austria in 1526. In the 15th century, several changes were made to Silesia's borders. Parts of the territories which had been transferred to the Silesian Piasts in 1178 were bought by the Polish kings in the second half of the 15th century (the Duchy of Oświęcim in 1457; the Duchy of Zator in 1494). The Bytom area remained in the possession of the Silesian Piasts, though it was a part of the Diocese of Kraków. The Duchy of Crossen was inherited by the Margraviate of Brandenburg in 1476, and with the renunciation of King Ferdinand I and the estates of Bohemia in 1538, became an integral part of Brandenburg. In 1742, most of Silesia was seized by King Frederick the Great of Prussia in the War of the Austrian Succession, eventually becoming the Prussian Province of Silesia in 1815; consequently, Silesia became part of the German Empire when it was proclaimed in 1871. After World War I, a part of Silesia, Upper Silesia, was contested by Germany and the newly independent Second Polish Republic. The League of Nations organized a plebiscite to decide the issue in 1921. It resulted in 60% of votes being cast for Germany and 40% for Poland. Following the third Silesian Uprising (1921), however, the easternmost portion of Upper Silesia (including Katowice), with a majority ethnic Polish population, was awarded to Poland, becoming the Silesian Voivodeship. The Prussian Province of Silesia within Germany was then divided into the provinces of Lower Silesia and Upper Silesia. Meanwhile, Austrian Silesia, the small portion of Silesia retained by Austria after the Silesian Wars, was mostly awarded to the new Czechoslovakia (becoming known as Czech Silesia), although most of Cieszyn and territory to the east of it went to Poland as Zaolzie. Polish Silesia was among the first regions invaded during Germany's 1939 attack on Poland. One of the claimed goals of Nazi occupation, particularly in Upper Silesia, was the extermination of those whom Nazis viewed as subhuman, namely Jews and ethnic Poles. The Polish and Jewish population of the then Polish part of Silesia was subjected to genocide involving ethnic cleansing and mass murder, while German colonists were settled in pursuit of Lebensraum. Two thousand Polish intellectuals, politicians, and businessmen were murdered in the Intelligenzaktion Schlesien in 1940 as part of a Poland-wide Germanization program. Silesia also housed one of the two main wartime centers where medical experiments were conducted on kidnapped Polish children by Nazis. The Potsdam Conference of 1945 defined the Oder-Neisse line as the border between Germany and Poland. Millions of Germans in Silesia either fled or were expelled, and were replaced by Polish population forcibly re-settled by the Soviet Union from other regions. After 1945 and in 1946, nearly all of the 4.5 million Silesians of German descent fled, or were interned in camps and forcibly expelled, including some thousand German Jews who survived the Holocaust and had returned to Silesia; 634,106 Silesians died in the expulsion, nearly 14% of the population. The newly formed Polish United Workers' Party created a Ministry of the Recovered Territories that claimed half of the available arable land for state-run collectivized farms. Many of the new Polish Silesians who resented the Germans for their invasion in 1939 and brutality in occupation now resented the newly formed Polish communist government for their population shifting and interference in agricultural and industrial affairs. The administrative division of Silesia within Poland has changed several times since 1945. Since 1999, it has been divided between Lubusz Voivodeship, Lower Silesian Voivodeship, Opole Voivodeship, and Silesian Voivodeship. Czech Silesia is now part of the Czech Republic, forming the Moravian-Silesian Region and the northern part of the Olomouc Region. Germany retains the Silesia-Lusatia region (Niederschlesien-Oberlausitz or Schlesische Oberlausitz) west of the Neisse, which is part of the federal state of Saxony. Most of Silesia is relatively flat, although its southern border is generally mountainous. It is primarily located in a swath running along both banks of the upper and middle Oder (Odra) River, but it extends eastwards to the upper Vistula River. The region also includes many tributaries of the Oder, including the Bóbr (and its tributary the Kwisa), the Barycz and the Nysa Kłodzka. The Sudeten Mountains run along most of the southern edge of the region, though at its south-eastern extreme it reaches the Silesian Beskids and Moravian-Silesian Beskids, which belong to the Carpathian Mountains range. Historically, Silesia was bounded to the west by the Kwisa and Bóbr Rivers, while the territory west of the Kwisa was in Upper Lusatia (earlier Milsko). However, because part of Upper Lusatia was included in the Province of Silesia in 1815, in Germany Görlitz, Niederschlesischer Oberlausitzkreis and neighbouring areas are considered parts of historical Silesia. Those districts, along with Poland's Lower Silesian Voivodeship and parts of Lubusz Voivodeship, make up the geographic region of Lower Silesia. Silesia has undergone a similar notional extension at its eastern extreme. Historically, it extended only as far as the Brynica River, which separates it from Zagłębie Dąbrowskie in the Lesser Poland region. However, to many Poles today, Silesia (Śląsk) is understood to cover all of the area around Katowice, including Zagłębie. This interpretation is given official sanction in the use of the name Silesian Voivodeship (województwo śląskie) for the province covering this area. In fact, the word Śląsk in Polish (when used without qualification) now commonly refers exclusively to this area (also called Górny Śląsk or Upper Silesia). As well as the Katowice area, historical Upper Silesia also includes the Opole region (Poland's Opole Voivodeship) and Czech Silesia. Czech Silesia consists of a part of the Moravian-Silesian Region and the Jeseník District in the Olomouc Region. Silesia is a resource-rich and populous region. Since the middle of the 18th century, coal has been mined. The industry had grown while Silesia was part of Germany, and peaked in the 1970s under the People's Republic of Poland. During this period, Silesia became one of the world's largest producers of coal, with a record tonnage in 1979. Coal mining declined during the next two decades, but has increased again following the end of Communist rule. The 41 coal mines in Silesia are mostly part of the Upper Silesian Coal Basin, which lies in the Silesian Upland. The coalfield has an area of about 4,500 km2. 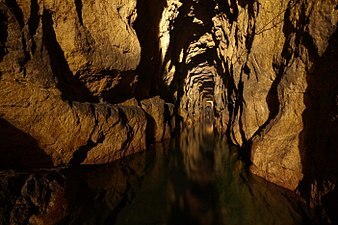 Deposits in Lower Silesia have proven to be difficult to exploit and the area's unprofitable mines were closed in 2000. In 2008, an estimated 35 billion tonnes of lignite reserves were found near Legnica, making them some of the largest in the world. From the fourth century BC, iron ore has been mined in the upland areas of Silesia. The same period had lead, copper, silver, and gold mining. Zinc, cadmium, arsenic, and uranium have also been mined in the region. Lower Silesia features large copper mining and processing between the cities of Legnica, Głogów, Lubin, and Polkowice. The region is known for stone quarrying  to produce limestone, marl, marble, and basalt. The region also has a thriving agricultural sector, which produces cereals (wheat, rye, barley, oats, corn), potatoes, rapeseed, sugar beets and others. Milk production is well developed. The Opole Silesia has for decades occupied the top spot in Poland for their indices of effectiveness of agricultural land use. Mountainous parts of southern Silesia feature many significant and attractive tourism destinations (e.g., Karpacz, Szczyrk, Wisła). Silesia is generally well forested. This is because greenness is generally highly desirable by the local population, particularly in the highly industrialized parts of Silesia. Silesia has been historically diverse in every aspect. Nowadays, the largest part of Silesia is located in Poland; it is often cited as one of the most diverse regions in that country. United States Immigration Commission in its "Dictionary of races or peoples" (published in 1911, during the period of intense immigration from Silesia to the USA) considered Silesian as a geographical (not ethnic) term, denoting the inhabitants of Silesia. It is also mentioned the existence of both Polish Silesian and German Silesian dialects in that region. Modern Silesia is inhabited by Poles, Silesians, Germans, and Czechs. Germans first came to Silesia during the Late Medieval Ostsiedlung. The last Polish census of 2002 showed that the Silesians are the largest national minority in Poland, Germans being the second; both groups are located mostly in Upper Silesia. The Czech part of Silesia is inhabited by Czechs, Moravians, Silesians, and Poles. Before the Second World War, Silesia was inhabited mostly by Germans and Poles, with a Czech and Jewish minority. In 1905, a census showed that 75% of the population were Germans and 25% were Poles. The German population tended to be based in the urban centres and in the rural areas to the north and west, whilst the Polish population was generally rural and could be found in the east and in the south. Historically, Silesia was about equally split between Protestants (overwhelmingly Lutherans) and Roman Catholics. In an 1890 census taken in the German part, Roman Catholics made up a slight majority of 53%, while the remaining 47% were almost entirely Lutheran. Geographically speaking, Lower Silesia was mostly Lutheran except for the Glatzer Land (now Kłodzko County). Upper Silesia was mostly Roman Catholic except for some of its northwestern parts, which were predominantly Lutheran. Generally speaking, the population was mostly Protestant in the western parts, and it tended to be more Roman Catholic the further east one went. In Upper Silesia, Protestants were concentrated in larger cities and often identified as German. After World War II, the religious demographics changed drastically as Germans, who constituted the bulk of the Protestant population, fled or were forcibly expelled. Poles, who were mostly Roman Catholic, were resettled in their place. Today, Silesia remains predominantly Roman Catholic. Existing since the 12th century, Silesia's Jewish community was concentrated around Wrocław and Upper Silesia, and numbered 48,003 (1.1% of the population) in 1890, decreasing to 44,985 persons (0.9%) by 1910. In Polish East Upper Silesia, the number of Jews was around 90,000–100,000. Historically the community had suffered a number of localised expulsions such as their 1453 expulsion from Wrocław. From 1712 to 1820 a succession of men held the title Chief Rabbi of Silesia ("Landesrabbiner"): Naphtali ha-Kohen (1712–16); Samuel ben Naphtali (1716–22); Ḥayyim Jonah Te'omim (1722–1727); Baruch b. Reuben Gomperz (1733–54); Joseph Jonas Fränkel (1754–93); Jeremiah Löw Berliner (1793–99); Lewin Saul Fränkel (1800–7); Aaron Karfunkel (1807–16); and Abraham ben Gedaliah Tiktin (1816–20). After the German invasion of Poland in 1939, following Nazi racial policy, the Jewish population of Silesia was subjected to Nazi genocide with executions performed by Einsatzgruppe z. B.V. led by Udo von Woyrsch and Einsatzgruppe I led by Bruno Streckenbach, imprisonment in ghettos and ethnic cleansing to the General Government. In their efforts to exterminate the Jews through murder and ethnic cleansing Nazi established in Silesia province the Auschwitz and Gross-Rosen camps. Expulsions were carried out openly and reported in the local press. Those sent to ghettos would from 1942 be expelled to concentration and work camps. Between 5 May and 17 June, 20,000 Silesian Jews were sent to Birkenau to gas chambers and during August 1942, 10,000 to 13,000 Silesian Jews were murdered by gassing at Auschwitz. Most Jews in Silesia were exterminated by the Nazis. After the war Silesia became a major centre for repatriation of Jewish population in Poland which survived Nazi German extermination and in autumn 1945, 15,000 Jews were in Lower Silesia, mostly Polish Jews returned from territories now belonging to Soviet Union, rising in 1946 to seventy thousand as Jewish survivors from other regions in Poland were relocated. The majority of Germans fled or were expelled from the present-day Polish and Czech parts of Silesia during and after World War II. From June 1945 to January 1947, 1.77 million Germans were expelled from Lower Silesia, and 310,000 from Upper Silesia. Today, most German Silesians and their descendants live in the territory of the Federal Republic of Germany, many of them in the Ruhr area working as miners, like their ancestors in Silesia. To smooth their integration into West German society after 1945, they were placed into officially recognized organizations, like the Landsmannschaft Schlesien, with financing from the federal West German budget. One of its most notable but controversial spokesmen was the Christian Democratic Union politician Herbert Hupka. The expulsion of Germans led to widespread underpopulation. The population of the town of Glogau fell from 33,500 to 5,000, and from 1939 to 1966 the population of Wrocław fell by 25%. Attempts to repopulate Silesia proved unsuccessful in the 1940s and 1950s, and Silesia's population did not reach pre-war levels until the late 1970s. The Polish settlers who repopulated Silesia were mainly from the former Polish Eastern Borderlands, which was annexed by the Soviet Union in 1939. The former German city of Breslau was repopulated with refugees from the formerly Polish city of Lwów. The following table lists the cities in Silesia with a population greater than 30,000 (2015). The emblems of Lower Silesia and Upper Silesia originate from the emblems of the Piasts of Lower Silesia and Upper Silesia. The coat of arms of Upper Silesia depicts the golden eagle on the blue shield. The coat of arms of Lower Silesia depicts a black eagle on a golden (yellow) shield. The coat of arms of the Opolskie Voivodeship. Henryk IV's Probus coat of arms. Coat of arms of the Lower Silesia Voivodship (2000–2009). Coat of arms of the Lower Silesia Voivodship. Coat of arms of Czech Silesia. Flags with their colors refer to the coat of arms of Silesia. Flag of Lower Silesia Voivodeship. ^ "Silesia". Random House Webster's Unabridged Dictionary. ^ Zbigniew Babik, "Najstarsza warstwa nazewnicza na ziemiach polskich w granicach średniowiecznej Słowiańszczyzny", Uniwersitas, Kraków, 2001. ^ Kamila Uzarczyk: Podstawy ideologiczne higieny ras. Toruń: Wydawnictwo Adam Marszałek, 2002, s. 285, 286, 289. ISBN 83-7322-287-1. ^ Lukowski, Zawadski, Jerzy, Hubert (2006). A Concise History of Poland. Cambridge, UK: Cambridge University Press. pp. 278–280. ISBN 978-0-521-61857-1. ^ a b c d e "Natural Resources | poland.gov.pl". En.poland.gov.pl. Retrieved 2013-11-19. ^ "Mamy największe złoża węgla brunatnego na świecie" (in Polish). Gazetawyborcza.pl. Retrieved 2013-11-20. ^ "Wise International | World Information Service on Energy". 0.antenna.nl. Retrieved 2013-11-20. ^ "Copper: World Smelter Production, By Country". Indexmundi.com. 2011-07-28. Retrieved 2013-11-20. ^ "Zinc: World Smelter Production, By Country". Indexmundi.com. 2004-07-01. Retrieved 2013-11-20. ^ "Silver: World Mine Production, By Country". Indexmundi.com. 2004-08-13. Retrieved 2013-11-20. ^ "Cadmium: World Refinery Production, By Country". Indexmundi.com. 2012-05-18. Retrieved 2013-11-20. ^ "Lead: World Refinery Production, By Country". Indexmundi.com. 2005-06-24. Retrieved 2013-11-20. ^ "Samorząd Województwa Opolskiego". Umwo.opole.pl. Retrieved 2013-11-20. ^ Dillingham, William Paul; Folkmar, Daniel; Folkmar, Elnora (1911). Dictionary of Races or Peoples. Washington, D.C.: Washington, Government Printing Office. p. 128. ^ Dillingham, William Paul; Folkmar, Daniel; Folkmar, Elnora (1911). Dictionary of Races or Peoples. United States. Immigration Commission (1907-1910). Washington, D.C.: Washington, Government Printing Office. pp. 105, 128. ^ "Śląska Biblioteka Cyfrowa – biblioteka cyfrowa regionu śląskiego – Wznowione powszechne taxae-stolae sporządzenie, Dla samowładnego Xięstwa Sląska, Podług ktorego tak Auszpurskiey Konfessyi iak Katoliccy Fararze, Kaznodzieie i Kuratusowie Zachowywać się powinni. Sub Dato z Berlina, d. 8. Augusti 1750". Sbc.org.pl. Retrieved 2013-11-20. ^ Hunt Tooley, T (1997). National Identity and Weimar Germany: Upper Silesia and the Eastern Border, 1918–1922, University of Nebraska Press, p.17. ^ Hassel, Georg (1823). Statistischer Umriß der sämmtlichen europäischen und der vornehmsten außereuropäischen Staaten, in Hinsicht ihrer Entwickelung, Größe, Volksmenge, Finanz- und Militärverfassung, tabellarisch dargestellt - Erster Heft - Welcher die beiden großen Mächte Österreich und Preußen und den Deutschen Staatenbund darstellt (in German). Weimar: Verlag des Geographischen Instituts. pp. 33–34. ^ Plater, Stanisław (1825). Jeografia wschodniey części Europy czyli opis krajów przez wielorakie narody sławiańskie zamieszkanych obeymujący Prussy, Xięztwo Poznańskie, Szląsk Pruski, Gallicyą, Rzeczpospolitę Krakowską, Królestwo Polskie i Litwę (in Polish). Wrocław: Wilhelm Bogumił Korn. p. 60. ^ Ładogórski, Tadeusz (1966). Ludność, in: Historia Śląska, vol. II: 1763-1850, part 1: 1763-1806 (in Polish). Wrocław: edited by W. Długoborski. p. 150. ^ Kamusella, T (2007). Silesia and Central European nationalisms: the emergence of national and ethnic groups in Prussian Silesia and Austrian Silesia, 1848–1918, Purdue University Press, p.173. ^ Christopher R. Browning (2000). Nazi Policy, Jewish Workers, German Killers, Cambridge University Press, 2000, p.147. ^ "Silesia". 1906 Jewish Encyclopedia. JewishEncyclopedia.com. Retrieved 6 December 2017. ^ Popularna encyklopedia powszechna – Volume 10 – Page 660 Magdalena Olkuśnik, Elżbieta Wójcik – 2001 Streckenbach Bruno (1902–1977), funkcjonariusz niem. państwa nazistowskiego, Gruppenfuhrer SS. Od 1933 szef policji po- lit w Hamburgu. 1939 dow. Einsatzgruppe I (odpowiedzialny za eksterminacje ludności pol. i żydowskiej na Śląsku). ^ Zagłada Żydów na polskich terenach wcielonych do Rzeszy Page 53 Aleksandra Namysło, Instytut Pamięci Narodowej—Komisja Ścigania Zbrodni przeciwko Narodowi Polskiemu – 2008 W rzeczywistości ludzie Udona von Woyr- scha podczas marszu przez województwo śląskie na wschód dopuszczali się prawdziwych masakr ludności żydowskiej. ^ Steinbacher, S. "In the Shadow of Auschwitz, The murder of the Jews of East Upper Silesia", in Cesarani, D. (2004) Holocaust: From the persecution of the Jews to mass murder, Routledge, pp.110–138. ^ The Origins of the Final Solution: The Evolution of Nazi Jewish Policy, September 1939 – March 1942 – Page 544 Christopher R. Browning – 2007 Between May 5 and June 17, 20,000 Silesian Jews were deported to Birkenau to be gassed. ^ Christopher R. Browning (2007). The Origins of the Final Solution: The Evolution of Nazi Jewish Policy, September 1939 – March 1942, University of Nebraska Press, p.544. ^ Kochavi, AJ (2001). Post-Holocaust politics: Britain, the United States & Jewish refugees, 1945–1948, University of North Carolina Press, p.176. ^ DB Klusmeyer & DG Papademetriou (2009). Immigration policy in the Federal Republic of Germany: negotiating membership and remaking the nation, Berghahn, p.70. ^ Scholz, A (1964). Silesia: yesterday and today, Martinus Nijhoff, The Hague, p.69. ^ Mazower, M (1999). Dark Continent: Europe's 20th Century, Penguin, p.223. ^ Łęknica and Bad Muskau were considered part of Silesia in years 1815–1945. Zahradnik, Stanisław; Marek Ryczkowski (1992). Korzenie Zaolzia. Warszawa - Praga - Trzyniec: PAI-press. OCLC 177389723. Chisholm, Hugh, ed. (1911). "Silesia" . Encyclopædia Britannica. 25 (11th ed.). Cambridge University Press. pp. 90–92. Przemysław, Wiszewski, ed. (2013). The Long Formation of the Region (c. 1000-1526) (PDF). Cuius regio? Ideological and Territorial Cohesion of the Historical Region of Silesia. 1. Wrocław, Poland: EBooki.com.pl. ISBN 978-83-927132-1-0. Retrieved 2018-03-18. Harc, Lucyna; Wąs, Gabriela, eds. (2014). The Strengthening of Silesian Regionalism (1526-1740) (PDF). Cuius regio? Ideological and Territorial Cohesion of the Historical Region of Silesia. 2. Wrocław, Poland: EBooki.com.pl. ISBN 978-83-927132-6-5. Retrieved 2018-03-18. Harc, Lucyna; Kulak, Teresa, eds. (2015). Silesia under the Authority of the Hohenzollerns (1741-1918) (PDF). Cuius regio? Ideological and Territorial Cohesion of the Historical Region of Silesia. 3. Wrocław, Poland: EBooki.com.pl. ISBN 978-83-942651-3-7. Retrieved 2018-03-18. Czapliński, Marek; Wiszewski, Przemysław, eds. (2014). Region Divided - Times of Nation-States (1918-1945) (PDF). Cuius regio? Ideological and Territorial Cohesion of the Historical Region of Silesia. 4. Wrocław, Poland: EBooki.com.pl. ISBN 978-83-927132-8-9. Retrieved 2018-03-18. Wiszewski, Przemysław, ed. (2015). Permanent Change - The New Region(s) of Silesia (1945-2015) (PDF). Cuius regio? Ideological and Territorial Cohesion of the Historical Region of Silesia. 5. Wrocław, Poland: EBooki.com.pl. ISBN 978-83-942651-2-0. Retrieved 2018-03-18.